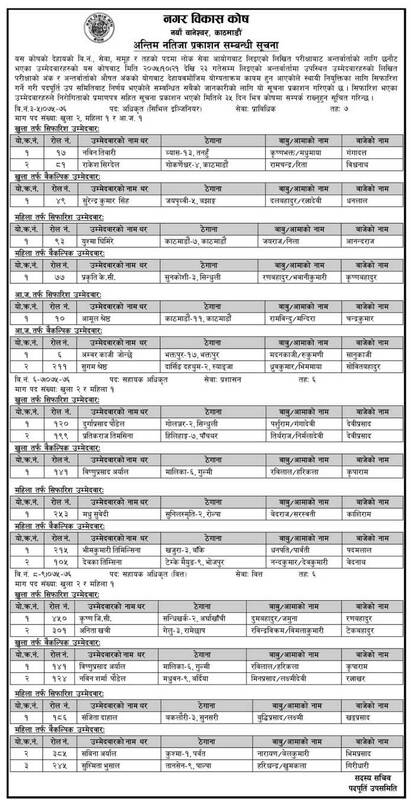 Town Development Fund (Nagar Bikas Kosh) has published the final result of written exam and interview for the position of Officer (Civil Engineer). The written examination was conducted through Lok Sewa Aayog (Public Service Commission). Selected Candidates should contactTown Development Fund before Falgun 30, 2075 (March 14, 2019) with necessary documents.